Gelsenkirchen, Germany – In October 2017, SCHADE Lagertechnik GmbH won a further order from Baosteel Iron & Steel Company Ltd., Shanghai, China, this time for an additional supply of four Semi-Portal Reclaimers. These machines have a rail span of around 38 m and a capacity of 1500 tph, and are expected to be delivered in November of this year. Commissioning is planned for mid- 2019. New products and innovative solutions are the focus of every trade fair and the forthcoming bauma 2016 promises more of the same. 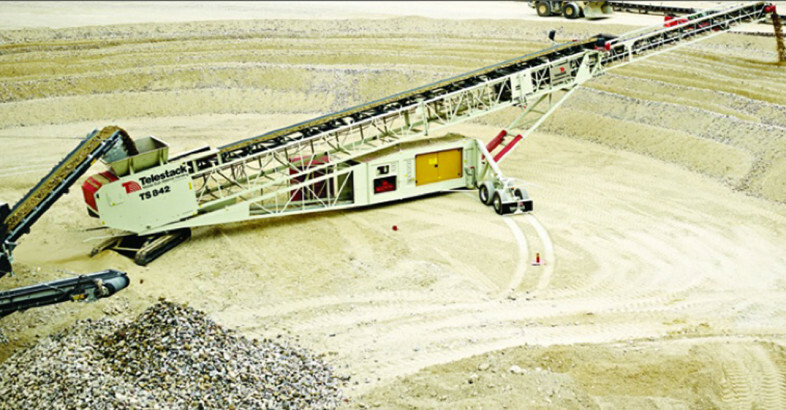 Telestack plan to use the triennial event, held in Munich Germany 11th-17th April, to showcase a range of their products – the TC424 Tracked Conveyor, the TCL431 Tracked Conveyor and the LF514 Train Loader.